Many people, both inside and outside Israel, were happy to see a pro-Israel, pro-two-state organization delivering a nuanced, fact-based presentation at this event. Others were less enthused, most notably Israel’s ambassador to the United Nations, Danny Danon, who accused APN of participating in “diplomatic terror” against Israel. 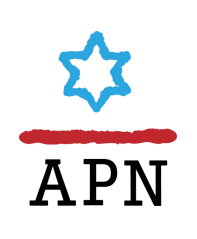 Likewise, Prime Minister Benjamin Netanyahu took to social media to call APN’s arguments “deluded.” And now, in this newspaper, the former head of the Union of Reform Judaism, Rabbi Eric Yoffie, criticized APN’s testimony as a “mistake” – not for the facts it conveyed or its tone, but for the timing and location of its delivery. We participated in this event because we felt it was critically important – for Israel – to lay out the facts about Israeli settlements. These are facts that Netanyahu and other advocates for the settlement movement understandably prefer remain hidden because they contradict the official hasbara that seeks to convince Israel’s citizens and the world that this government still supports the two-state solution and that its policies are consonant with this aspiration. It is thus no surprise that our participation angered and worried some people. For those who do not support the two-state solution, those who want to see the settlement enterprise continue on its current course to make permanent Israel’s control over the West Bank and East Jerusalem, those who do not care whether Israel remains a democracy, any focus on the facts of settlements and occupation is by definition threatening. It is likewise no surprise that our participation upset other people. For years we have heard variations on a familiar argument: No consequential action to protest settlements is ever permissible. One version says: If you publicly criticize Israel, including over its settlements policies, the anti-Semites win. Another says: If you boycott settlements, even as you fight boycotts of Israel proper, Israel haters and the BDS movement win. And this latest iteration says: If you challenge Israeli settlement policies at the Security Council, even in a meeting framed in terms that recognize Israel and endorse the aspiration for Israel to continue to exist in peace and security in the context of a two-state solution, Israel’s enemies win. To those who suggest that speaking about settlements at the most important international organization in existence is akin to terror, we say: Cynically crying “terror” to try to delegitimize every form of meaningful nonviolent protest against Israeli policy, including the mere act of speaking the truth in a public forum, desecrates the memory of victims of actual terror. It abuses the pain their families feel every day and insults people everywhere who live in the shadow of the threat of real terror. To those who argue that it is “deluded” to focus on settlements when there are many other things that make peace difficult to achieve, including some Palestinian actions, we say: Deluded is to consistently deny the damage Israeli settlement policies are doing to the prospects for peace. Deluded is to believe that seeking to delegitimize those who insist on the facts renders those facts less true or less important. And deluded is to demand that people ignore the facts about Israeli settlement policies while acquiescing to facts on the ground deliberately designed to destroy the viability of the two-state solution. And to those who suggest that now is not the time, or that the United Nations is not the place, to speak the truth about settlements, we say: You are grievously mistaken. The 50th anniversary of the occupation is nearly upon us. The hope for a two-state solution is dying. If there was ever a time to speak the truth about settlements and occupation – in every possible forum for consequential action – that time is now. We know that speaking the truth this way, and indeed, calling for action on settlements – like calling for settlement boycotts or a Security Council resolution – makes some people, including some supporters of the two-state solution, deeply uncomfortable. We also know that for nearly five decades, more “comfortable” forms of protest have failed to change Israeli settlement policies. APN makes no apologies. We know that our actions – last week at the United Nations and every day working to promote peace and security for Israel, and working to support our brave colleagues in the Israeli Peace Now movement – serve the real interests of Israel. We are proud to have spoken at the Security Council, and we will continue to speak out, wherever and whenever we believe it can make a difference, until Israeli policies cease to prioritize settlements over peace, security, democracy and Israel’s place in the community of nations. Lara Friedman is director of policy and government relations for Americans for Peace Now. "Deluded" - Because we dared.